Five marvellous stories about some very resourceful children and their adventures in the wide world: Meet Lindalou, who makes a wondrous flying boat and sails to Kathmandu, timid Andy Umm, who talks to animals and tames a lion, curious Ferdinand, who cures the prime minister with the help of his magic spectacles, Ignatius Binz, whose magnificent nose picks up the faintest whiff of danger, Valentina Lookwell, who paints people as they really are, Wendelin B. Wordforce, who writes down their stories and Aristan, the magic spider, as golden as a dab of butter, who befriends them all. 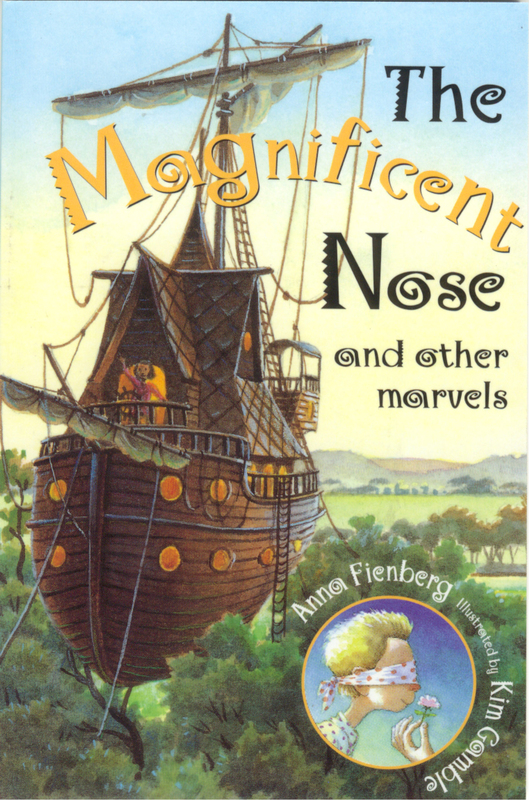 Anna Fienberg's stories are loved by chidren and adults. She has worked as an editor and a consultant for a national book club. She now divides her time between writing and mothering. Her books include Madeline the Mermaid and the Tashi stories. Kim Gamble is one of Australia's best loved illustrators for children. He has illustrated Anna's The Hottest Boy Who Ever Lived and the Tashi stories. His own books include Come the Terrible Tiger and You Can Draw Anything and You Can Do Great Lettering.